McDonald's Outbreak: What Is Cyclospora? Although threats from Mexican drug cartels cannot be dismissed out of hand, apparently another Mexican import cilantro (also known as coriander or Chinese parsley) has sickened hundreds of Americans in the past couple of years. According to a recent report from the CDC, in 2014 over 300 Americans had been sickened by the parasite Cyclospora and most of those people had no history of international travel, meaning they picked up the infection in the US. And this year, the FDA is investigating outbreaks of Cyclospora infections that affected over 380 people in 26 states. Over half of them became ill after May 1st of this year. 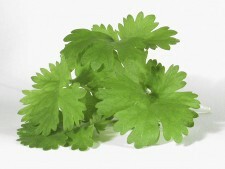 In both years, the infections have been linked to cilantro grown and shipped from the Mexican state of Puebla. The infectious entity, Cyclospora cayetanensis, is a single-celled parasite that can be acquired from foods or water contaminated by human waste. Symptoms of Cyclospora infection can begin anytime from 2 days to 2 weeks after consumption of contaminated foods the typical incubation period is one week. The most common symptom is watery diarrhea, which may be accompanied by appetite and weight loss, fever, cramping, nausea and fatigue. The infection can be treated with antibiotics. Investigations of Mexican farms linked to the outbreak determined that some had no running water or sanitary facilities for workers a situation likely to lead to contamination of crops with human waste. Further investigations are ongoing. ACSH s senior nutrition fellow Dr. Ruth Kava commented It seems that this situation is not new, since Cyclospora outbreaks have been linked to Mexican cilantro for several years. Since cilantro is typically consumed raw in products such as salads, salsa and gazpacho, it s important for consumers who want to use it to be sure of its source. Simply washing the herb will not necessarily eliminate the risk, so if the source is uncertain, don t use it.